New. Trade paperback (US). Glued binding. 358 p. Contains: Illustrations, black & white. British Library Crime Classics. New. 1464207445 BRAND NEW, GIFT QUALITY, DIRECT FROM THE PUBLISHER! NOT MARKED UP REMAINDERS OR DINGED AND DIRTY OVERSTOCKS! Very good in new dust jacket. Legendary independent bookstore online since 1994. Reliable customer service and no-hassle return policy. May show shelf wear. New. 100% Money Back Guarantee. Brand New, Perfect Condition. We offer expedited shipping to all US locations. Over 3, 000, 000 happy customers. Trade paperback (US). Glued binding. 358 p. Contains: Illustrations, black & white. 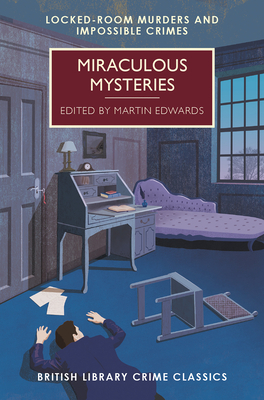 British Library Crime Classics. Fine. 100% Money Back Guarantee. Brand New, Perfect Condition. We offer expedited shipping to all US locations. Over 3, 000, 000 happy customers. Trade paperback (US). Glued binding. 358 p. Contains: Illustrations, black & white. British Library Crime Classics. New. 1464207445 Special order direct from the distributor.